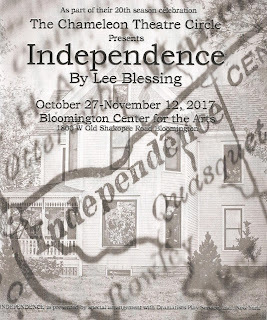 The play begins when oldest sister Kess (Ariel Leaf) returns home to the small town of Independence, Iowa from her academic job and girlfriend in Minneapolis. Middle sister Jo (Kira Pontiff) has called her home for an emergency, which turns out to be that she's pregnant, and their unstable mother Evelyn (Kim Greene) is not happy about it. Kess hasn't been home in four years, when youngest sister Sherry (Amanda Chial) was then 15 and pregnant, and Kess had their mother admitted to the local mental health institute, where she now volunteers. Since then it's fallen on Jo to take care of the family, Kess having escaped, and Sherry counting the days until high school graduation when she can move out. Kess decides to stay longer than the planned weekend to try to reconnect, bring the family together, and make plans for the future. It's a difficult situation and they're all just trying to do the best they can. This isn't a play in which things are wrapped up neatly at the end, it's a peek into the life of a family living with mental illness,* a life and a struggle that continues on after the play's end. The family drama unfolds in a house that's merely the frame of a house, with see-through walls and neat but shabby lived-in furniture (set design by Madeline Achen). 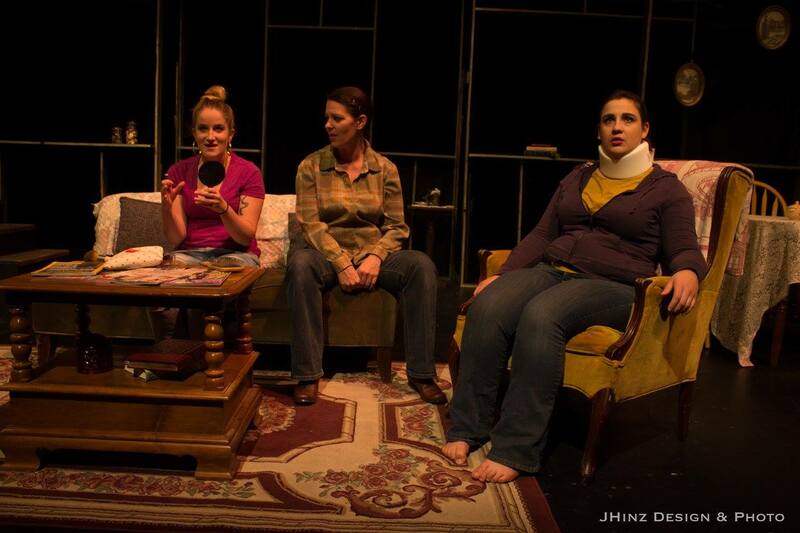 In the intimate space of the Black Box theater, you're almost uncomfortably close to this dysfunctional family. Everyone in the four-person cast, directed by Callie Meiners, is so believable in their roles, and believable as a family. Each creates a distinctly different character, all flawed and very human. All of these characters are struggling to find independence, or think they've already found it, but can't seem to leave their family and their shared past behind. They're codependent in Independence. 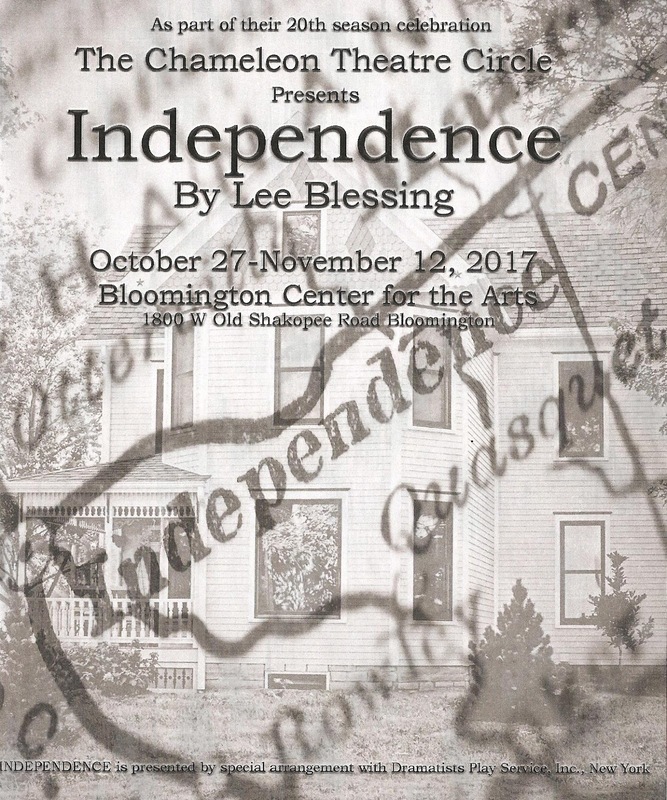 Independence continues through November 12. If you like intense and thorny family drama, this show's for you. And although it's written by a man, it's pretty great to see four women on stage directed by a woman. *For more on the portrayal of mental health concerns in theater, and the inclusion of artists and patrons with mental health concerns in #TCTheater, please come to the Twin Cities Theater Bloggers' next monthly conversation (more info here).